Intrinio sells financial data through APIs and we get questions about how exactly this works on a weekly basis. It's easy to see how it could be confusing - no one was selling financial data through APIs until recently. API stands for Application Programming Interface, and this is just a fancy term for a tool that gets data from a database so a developer can display that data in their application. Intrinio has a massive database of financial information like stock prices, balance sheets, economic data, and etc. Our data feeds, which you can browse in our marketplace, give developers an easy, systematic way to pull that data into whatever program they want to use via a single API. 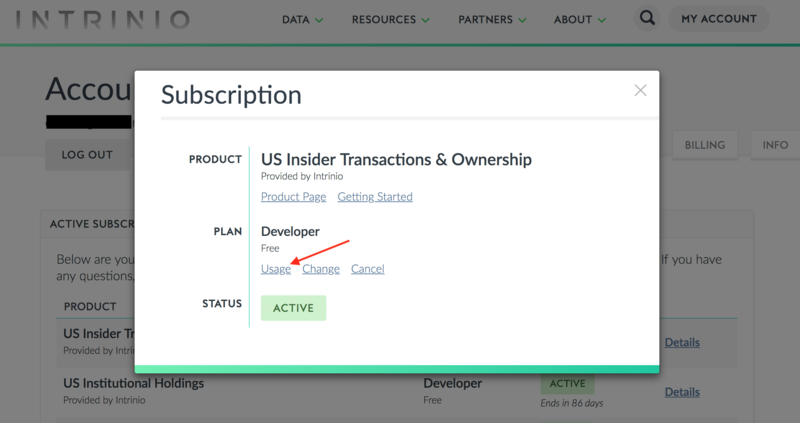 To use one of Intrinio's APIs or applications, it is necessary to subscribe to the data feed you want to use. In general, more expensive plans allow more daily API calls, meaning you can access more data in a single day. Users are able to make requests with a page_size up to 10,000 for any API request, including JSON and CSV. Requests with a page offset > 10,000 are limited to the “high-paging” limits. To determine the size of a page offset, multiply page_size by page_number. Keep in mind, the default page size is 100 for all requests, except historical data, which has a default page size of 1,000. These types of “high-paging” requests are limited 1 request per second for paid users, and 1 request per minute for free users. Some restrictions apply, so please contact us if you need a higher limit. The prices endpoint has an optional “bulk=true” parameter. When specified, it will quickly return all available prices for the specified ticker. Please note, that when using this parameter, you cannot use any other parameters such as start_date or end_date. This “bulk” functionality is limited to 1 request per second for paid users, and 1 request per minute for free users. Your individual limits may differ, so please contact us if you have any questions. Since Intrinio's plans come in units of API calls, it's important to understand exactly how much data you can get with an API call. For most data types, one API call gets you one data point. For example, =intriniodatapoint("AAPL","ceo") returns Apple's CEO in Excel and charges your US Fundamentals & Stock Prices subscription one API call. will get a developer Apple's price history. That call is limited to 100 results per page with each day containing the open, low, high, close, volume, and adjusted stock prices. A good rule of thumb is: one page = 1 API call or each page counts as 1 API call. 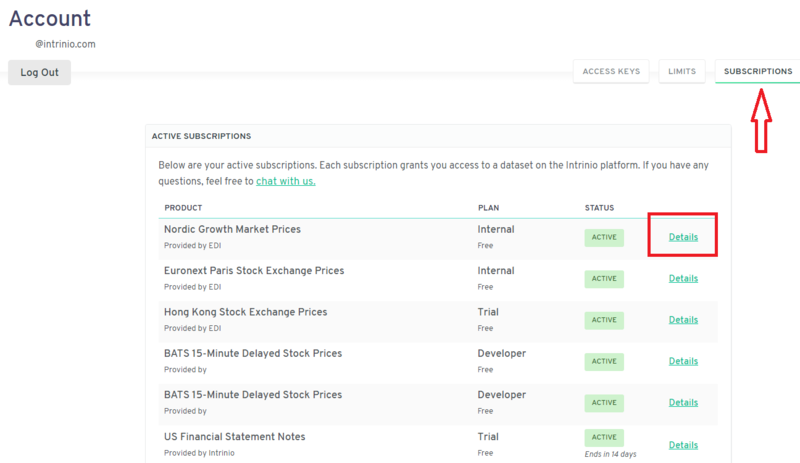 Click "Usage" within the subscription details to track your API calls in real time. If any of this sounds confusing, and we know it might, check out the API Documentation, or feel free to chat with our team regarding any specific examples or use cases you are facing.